If your historic site is visited by school groups, no doubt you’ve had to temporarily store dozens of lunches or backpacks while they’re exploring your buildings and grounds. Perhaps they’re left on the bus or stashed in big boxes in an empty room, but if you’re looking for something more portable or secure, I encountered a couple ideas from museums I recently visited. Basket trucks at the Asian Museum in San Francisco. The Asian Art Museum in San Francisco uses “basket trucks” that you typically find in hotels for collecting laundry. 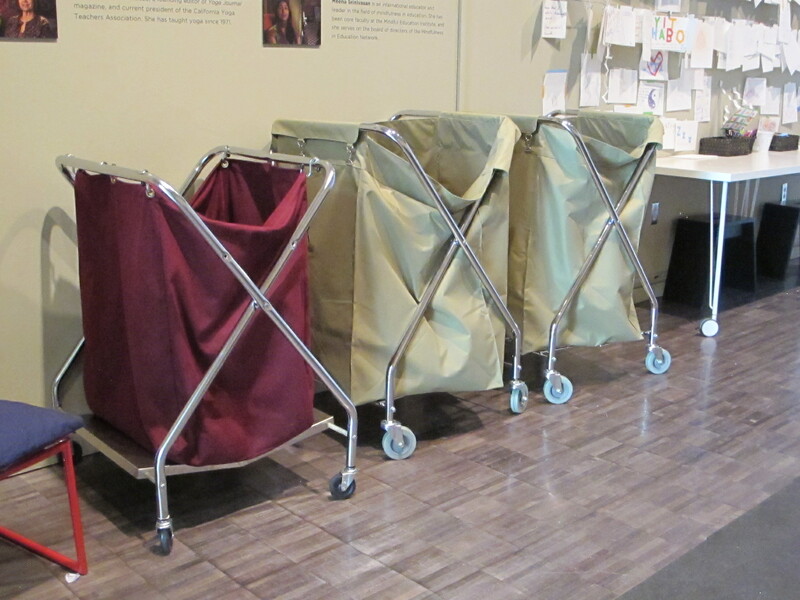 The carts easily roll around and hold lots of stuff, but some versions can collapse for storage and be cleaned by tossing the big cloth bag in the laundry. The Museum attaches a big plastic sleeve on the frame to slip in a temporary label to identify the school so the cart can be easily retrieved for lunch time. Security carts at the Dam, the royal palace in Amsterdam. 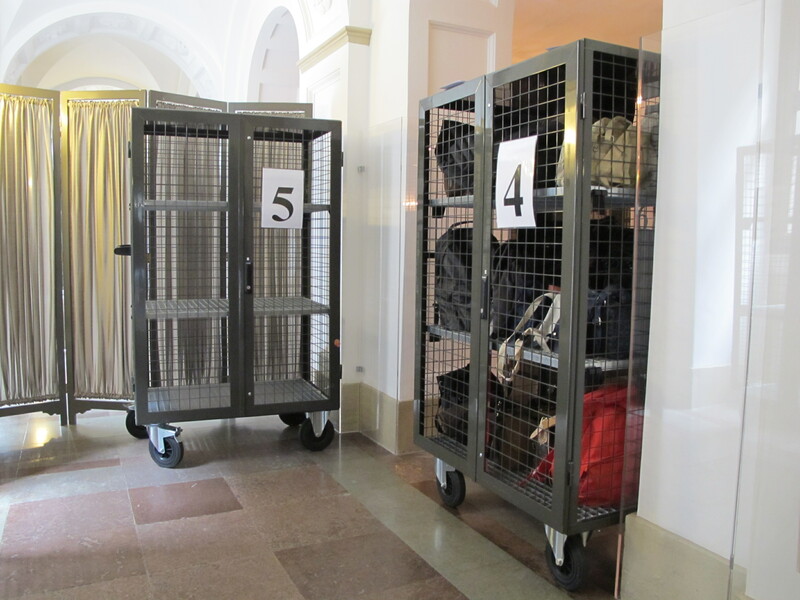 The Dam, the royal palace in Amsterdam, uses tall carts with steel shelves that are enclosed with steel mesh. Not only can they be locked for security (nowadays, kids are carrying expensive electronics) but still allow for visibility inside. They’re designed for moving valuable parts in warehouses and called “security carts”–many versions are available. If you’ve found other clever way to handle student belongings during field trips, please share them in the comments below. This entry was posted in Resources and tagged Asian Art Museum, Basket truck, Dam, School field trip, Security cart on June 4, 2015 by Max van Balgooy.